Choristers of the University of Buea Choir were yesterday, August 19 stopped from staging a concert at the Presbyterian Church Nsimeyong, Yaoundé minutes before they got on stage to perform to a huge audience. According to the parish pastor of Nsimeyong, Rev. Motopoh the UB Choir is a non – denominational group and is not allowed to perform on the sanctuary. Rev. Motopoh told Gina Informs that the presbytery Secretary, Rev. Massock only reminded him of a decision that was taken by the Synod. So he had to stop the concert from going on in the church. “I am new in this parish I have been here only for 9 months, so I had no idea they had no right to perform here. If they think they are a gospel choir then they should identify themselves with a church so they don’t have such problems in the future,” the Reverend explained. But then some questions remain unanswered, if it is a Synod decision, is it only for some Presbyterian Churches? And why was the concert cancelled only a few minutes before the choir got on stage? This is not the first time the UB Chior has performed in a Presbyterian Church. The president of the choir Nkwenti Lionel said he felt disappointed about what happened yesterday. According to him it was a personal decision. “We tried to get to the presbytery secretary severally but he refused to see us. This is not the first time. And he even said he doesn’t want to hear anything that concerns the UB Choir, because it is a political choir”, Mr Nkwenti explained. Gina Informs gathered that the Secretary General of the UB Choir took a letter to PC Bastos concerning the concert which was not read in church on Sunday. But the concert date was announced at PC Nsimeyong by the Parish pastor. “If he has done this to us, then he has done it to the University of Buea.’ Mr Nkwenti went on. The information came in through a phone call to the Parish Pastor when the UB Choir was about to go on stage. Choristers who were wearing happy smiles had shrunk faces immediately after the announcement was made. The UB Choir alumni association was present and they helped in cheering up the choristers. They advised the choristers to sing for their guests who came from far and near. So many gathered to listen to the melody on the streets of Nsimeyong. The spokesperson for the association Vera Orock told Gina Informs that she feels very dissatisfied at how they were treated. “When they broke the news it was definitely a sad moment but immediately some alumi came up with the idea of street singing and we motivated them like we could. At the end of the day we had an amazing concert. Priests and Pastors from different churches were present for the concert and were so disappointed. 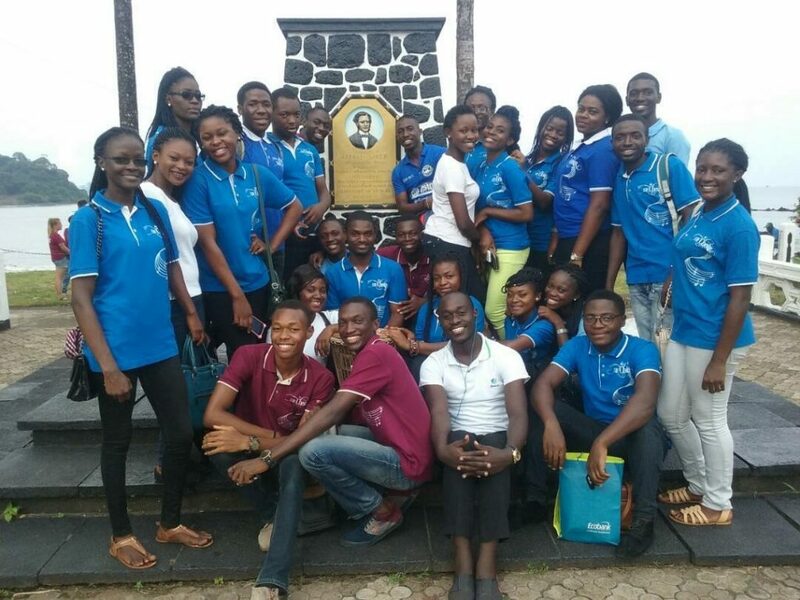 The award winning choir, UB Choir organizes grand tours annually, out of the South West Region, in order to reach out to their fans who do not have the opportunity to attend their concerts in Buea. This concert marked the end of their tour this year in Yaoundé.